The guerrillas who terrorized Missouri during the Civil War were colorful men whose daring and vicious deeds brought them a celebrity never enjoyed by the Federal soldiers who hunted them. Many books have been written about William Quantrill, Bloody Bill" Anderson, George Todd, Tom Livingston and other noted guerrillas. You have probably not heard of George Wolz, Aaron Caton, John Durnell, Thomas Holston or Ludwick St. John. 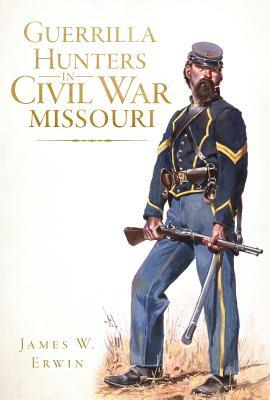 They served in Union cavalry regiments in Missouri, where neither side showed mercy to defeated foes. They are just five of the anonymous thousands who, in the end, defeated the guerrillas and have been forgotten with the passage of time. This is their story.